Popular for good reason. Photo courtesy of Mamak. SYDNEY – In January I went on a tour of Australia (Sydney, Melbourne, and Perth) to DJ with my Mister Saturday Night partner, Eamon Harkin. We had five gigs spread across two weeks, so we had plenty of time in between. This is the best of what I discovered — farm-to-table, Southeast Asian food, and, of course, legendary Oz coffee — in Sydney when I left the DJ booth. Excellent, award-winning gelato. Better than Gelato Messina (a small Aussie chain where you should stick with the mint and avoid the weirdo flavors that are too over the top). Cow is as good as any gelato I've had in Italy. The Bondi restaurant served the best meal I had in Australia. Amazing farm-to-table in a really nice room about a hundred yards from Bondi Beach. Great for a meal post-sun. KILLER Malaysian. If there's a line, don't worry. It moves pretty quickly. The fried chicken is great. Get the pieces rather than the whole or half bird. Roti and curries were really good, too. Cute little cafe with outdoor seating right on Crown Street in Surry Hills. I had a great salad with kale, pistachios, and a number of things that made me feel healthy. The staff was a great mix of people — hippie dread, middle-aged Thai dude, plump mother figure. The kitchen part of Book Kitchen. Farm-to-table breakfast, lunch, and dinner in Surry Hills. It's called Book Kitchen because there's a small cookbook library and cookbook shop inside. Very good! I ate breakfast here my first two days in Sydney. Good people watching when you sit at the tables on the street, and the coffee makes you believe the hype about Australian baristas doing it better. Thai food unlike other Thai food I've had. It almost reminded me of Vietnamese food. Great cellophane noodle salad with squid and a beef soup with a refreshing, coconut-less broth. 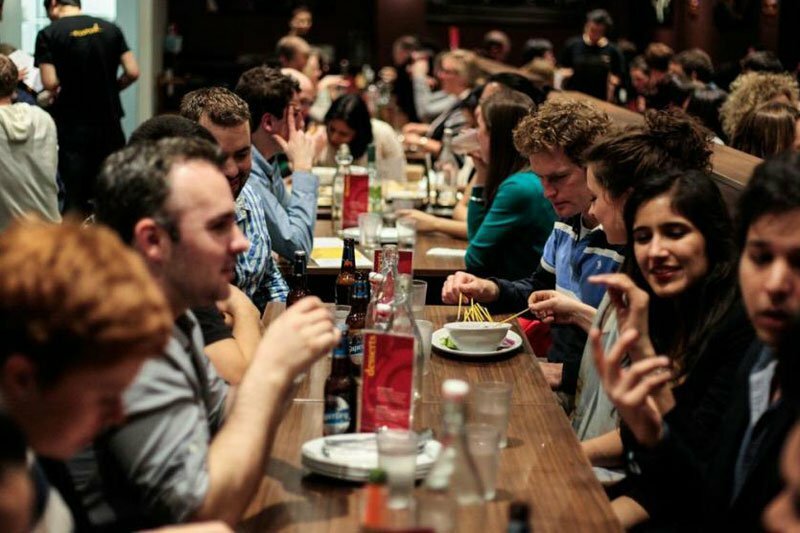 Chairman Mao (189 Anzac Parade, Kensington; +61-2-9697-9189) for very good Sichuan. Baker Bros. Espresso, where you can take your coffee at the bar standing and only pay a dollar, a la Italia. 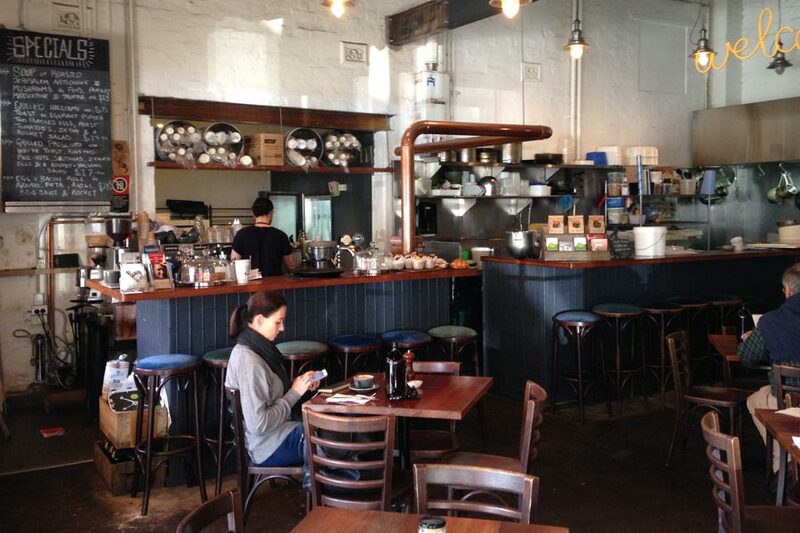 Kürtosh was a good-looking bakery in Surry Hills that made hollow, spiral sweets. Cool-looking Japanese people were in the place, though I have no clue if it's actually good. Revolve Records was recommended by the guy at the amazing record store in Melbourne, Licorice Pie. 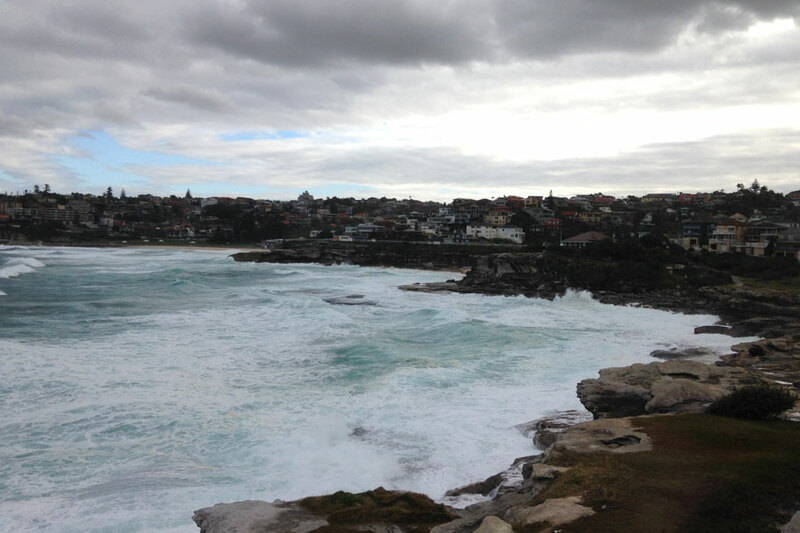 Along the Bondi to Bronte beach walk. Bronte and Tamarama beaches are both nice, and you can walk from Bronte or Tamarama to Bondi in about 45 minutes along the coast. A perfect Sydney beach day would look like this: Check the public pool at Bronte, hang on the beach at Tamarama, walk to the far end of Bondi, spend the last couple hours of the afternoon/evening sunning on the rocks; then have dinner at Sean's. Make a reservation, and sit inside — the whole front of the restaurant is open, and it's better than sitting outside on the street. Justin is a musician and DJ. He lives with his wife (and dog? please?) in Fort Greene, Brooklyn. He's not on social media, but you can follow his party and record label via @mrsatnight on Mister Saturday Night, at Twitter, on Facebook, and Instagram. He travels for the food and the records.